Now the shepherds were not the only ones who visited the Holy Family after Jesus was born. Stargazers from Arabia soon arrived. They stopped off at the fortress-palace of Herod the Great because they needed directions. Men are often too proud to admit when we’re lost but the stargazers swallowed their pride and entered the house of Herod. The question from the magi greatly troubled Herod as his doctors pried the leeches from his back. He had to have seen this coming. The fat was in the fire. The prophecy was clear. Assembling his quislings Herod questioned them about where this ‘messiah’ was born. One brave soul spoke openly and recited the prophecy from the Septuagint, the Greek-language Bible. “ ‘And you, Bethlehem, land of Judah, are by no means least among the rulers of Judah; since from you shall come a ruler, who is to shepherd my people Israel’ ” (Mi 5:1; cf 2 Sm 5:20). It was the prophet Micah who foretold the birth of the Messiah in Bethlehem, seven miles southeast of Jerusalem. But even before Micah, Balaam the Moabite, a pagan, busted for animal cruelty, spoke of a star rising over Israel, a celestial occurrence that alerted the world that something marvelous was about to happen. The fact that the magi were guided by a star suggests that they were learned in astrology and the science of navigation and time calculation by means of stellar configurations. And to think, they didn’t even have smart phones. With the entrance of the magi into biblical history the feast known as Epiphany was established. We three kings from orient are representatives of the universal mission of the Church offered to humanity by God through his Son. Christ the Lord was born on Christmas not only for Jews or Christians but for the entire human family. With the magi, representatives of a world outside Judaism and Christianity, the heart of the Gospel goes out to those who believe the prophecy, who chart the stars and search diligently for the child. What they learned along their journey they transported home making them not just scientists but evangelizers. 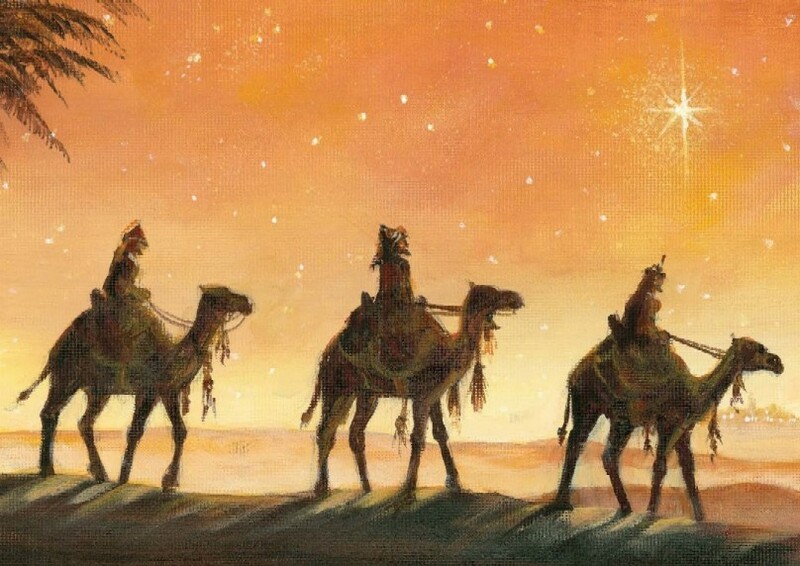 These wise men, so-named Caspar, Melchior, and Balthazar, journeyed across the sands to see for themselves whether the prophecy wrapped in swaddling clothes and sleeping in his mother’s arms was legitimate, was worth the long, strange trip. In my young and undiscovered days I lived as a beachcomber on the gulf coast of Florida. This was in the mid-to-late 90s. Nightly I sat on a dune watching the Hale-Bopp Comet, one of the largest comets ever recorded in the annals of astronomy. From the dawn of humanity shooting stars and celestial bodies have fascinated mankind before we even learned to write. In biblical times asteroids, meteors, and lunar and solar eclipses heralded omens good or evil, and served as harbingers of the births of rulers. Today we know that a comet is a chunk of dirty rock followed by two tails of ice and dust and hurtling through space at unclockable speeds from beyond the realm of the frozen planet Pluto. Who wouldn’t be fascinated at the sight of something like that? When the modern scientist looks to the stars they write another grant proposal. To the ancient ‘man of science’ such an occurrence as a stationary star hovering above the earth indicated that something important had taken place. After the magi left the palace, the king paced the halls and climbed the walls and put his yes-men to the sword over their failure to calm his qualms. 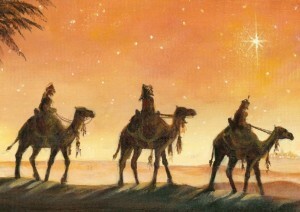 “Who are these ‘wise men’? What are their names? Where are they from? Why did they not prostrate before me?” Herod could no longer trust in the god of his stomach, couldn’t deny that the child of which the strangers spoke wasn’t just another Jewish prophet. In those days sorcerers practiced medicine, philosophy, and studied the natural sciences. Instead of teaching at universities they worked for kings, telling their boss what he wanted to hear for fear of losing tenure—and their heads. Kings financed these scholars, employing them as consultants and PR experts to enhance their benefactor’s reputation. Like Jonathan Gruber. Herod was described as a “man with two souls.” One sordid soul was steeped in the Greek language and culture that reshaped Jerusalem and the Jewish religion. The other soul possessing Herod drew him toward desert mysticism, practiced as he was in the art of burying his hand in the sand. Julius Caesar enthroned him as King of Judea, the ‘king of the Jews, as it were. His ‘messianic aspirations’ more or less swung his bipolar personality into balance, the way one balances a mattress on a bottle of wine. So the jesters in his court were not surprised when their ruler freaked out over what the visitors told him. When the magi ascertained that the audience was over they turned to leave. “Go and search diligently for the child,” Herod said. “When you have found him, bring me word, that I, too, may go and pay him homage (Mt 2:8). “We’ll get back to you on that,” they replied. They didn’t call them wise men for nothing. They also were practiced in the art of deception; they juked Herod, the way a full back jukes a linebacker out of his cleats. The travelers, guided by the messianic light of the star of David, arrived at Bethlehem. They introduced themselves to the Holy Family. “On entering the house they saw the child with Mary his mother. They prostrated and did him homage. Then they opened their treasures and offered gifts of gold, frankincense, and myrrh” (Mt 2:11). They gave Jesus gold because he was a king; they anointed him with frankincense because he was God; they offered myrrh to Mary so that she could anoint her son before she buried him. Eventually the comet disappeared into the cosmos and I left my beachcombing position. About that time, at Texas A&M University a law professor determined the identity and purpose of the magi. His name was Frederick Larson and he used an astronomical theory to search for non-mythical explanations to determine whether what Saint Matthew the Evangelist wrote in his gospel was true. Professor Larson’s investigation could never have been conducted prior to the age of information because it required super-computer technology. Through his research he was able to produce the image of the night sky in Bethlehem as it appeared on the first Christmas. The House of Herod was never the same after the visit from the magi. The historian Josephus writes a gruesome narrative of the degeneration of the aging despot in his final days; he dwelt in a black hole of instability and cruelty. His doctors overmedicated him—he overdosed, but not before killing his wife, her mother, and three of his sons, still obsessed over the truth that the newborn king of the Jews was a rising star (Mt 2:3) even as Herod’s own messianic hopes collapsed like a supernova. When Herod did die he was buried—in all places—at Bethlehem. How much more disturbed would the king have been to know that his final resting place was the site where the actual king of the Jews was born! (Mt 2:25; Lk 1:35).